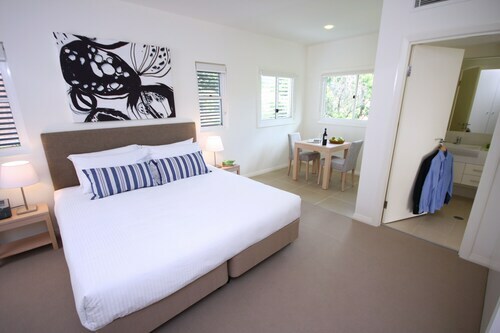 Situated near the airport, this motel is within 6 mi (10 km) of Suncorp Stadium, Roma Street Parkland, and XXXX Brewery. Brisbane Convention and Exhibition Centre and Westfield Chermside are also within 9 mi (15 km). Brisbane Doomben Station is only a 5-minute walk and Brisbane Ascot Station is 14 minutes. 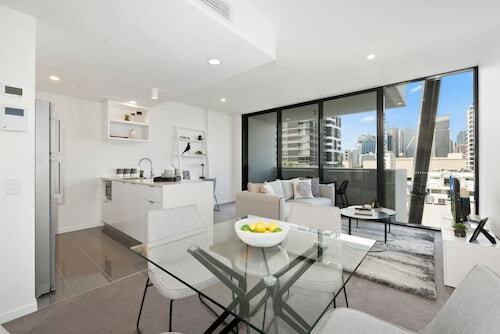 Situated near the airport, this apartment building is within a 15-minute walk of Eagle Farm Racecourse, Portside Wharf, and Brisbane Cruise Terminal. Emporium and RNA Showgrounds are also within 3 mi (5 km). Brisbane Ascot Station is 9 minutes by foot and Brisbane Doomben Station is 17 minutes. 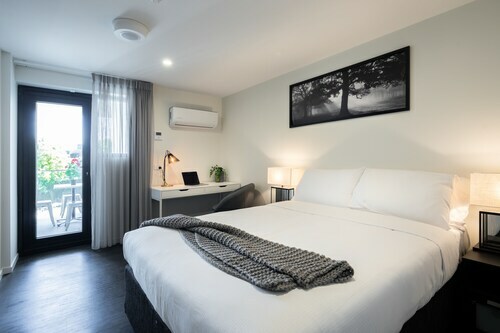 Situated near the airport, this motel is within a 10-minute walk of Doomben Racecourse and Eagle Farm Racecourse. Portside Wharf and Brisbane Entertainment Centre are also within 9 mi (15 km). Brisbane Doomben Station is only a 3-minute walk and Brisbane Ascot Station is 14 minutes. 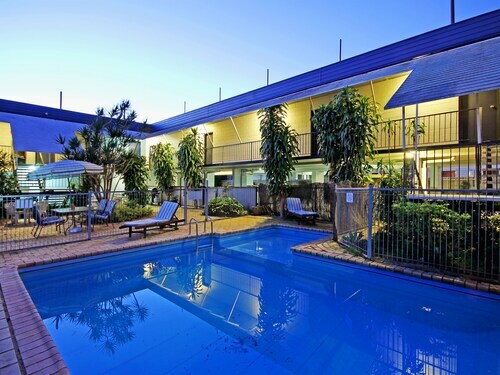 Located in the heart of Ascot, this motel is within 1 mi (2 km) of Doomben Racecourse and Portside Wharf. 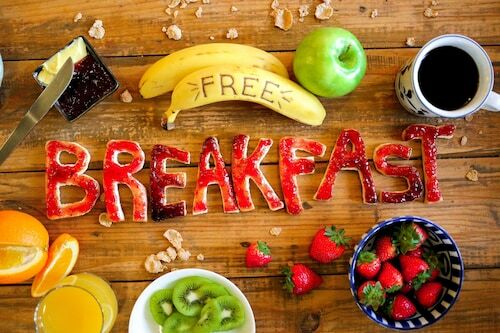 Eat Street Northshore and Suncorp Stadium are also within 6 mi (10 km). Brisbane Doomben Station is only a 2-minute walk and Brisbane Ascot Station is 16 minutes. City life making you feel claustrophobic? Why not check into one of our fine Ascot hotels? Located just seven kilometers north of Brisbane’s CBD, and adorned with hundreds of supremely idyllic and well-kept Queenslander-styled homes, Ascot has made a name for itself as a place to get away from it all without sacrificing the comforts of city dwelling. If there ever was a mascot of Ascot, it would be the majestic racehorse. 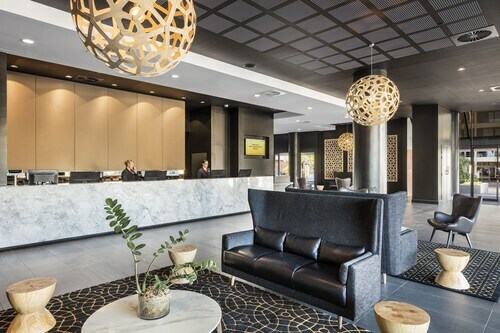 And nestled in Ascot’s leafy outskirts can be found not one, but two famed horseracing venues: the Doomben and Eagle Farm Racecourses – both of which are a short walk from our fine Ascot hotels. It is here where not only can you enjoy viewing the sleek beasts making their rounds from stable to field, but you can also watch them run for your money as Ascot is the unofficial horseracing capital of Queensland. Every May through July these two racecourses host several dozen high-octane derbies, cups, and stakes, when throngs of excitable punters and onlookers descend on Ascot to get their four-footed fix. Winter is one of the most festive stretches on the Brisbane calendar, and adding even more to these action-packed events is the renowned Queensland Winter Racing Carnival, where betting, feasting, revelling and shopping are the orders of the day (and night). Speaking of shopping, Ascot is home to the ever-popular Racecourse Road, a Poinciana tree-lined boulevard filled chock-a-block with everything from world-class restaurants and bars, to tucked away shops stacked with vintage clothing and curios. And for those shoppers who are inclined to a perhaps more traditional shopping experience, you can do no better than to check out the Eagle Farm Market. Held every Sunday morning from 7:00 – 12:30, the market has everything from hip handmade soap to fresh organic fruit and veggies – straight outta the dirt! Be it betting, shopping, eating or just relaxing, this cozy little suburb has it all. Check out our range of Ascot accommodation below! How Much is a Hotel Room in Ascot? Hotels in Ascot start at AU$72 per night. Prices and availability subject to change. Additional terms may apply.